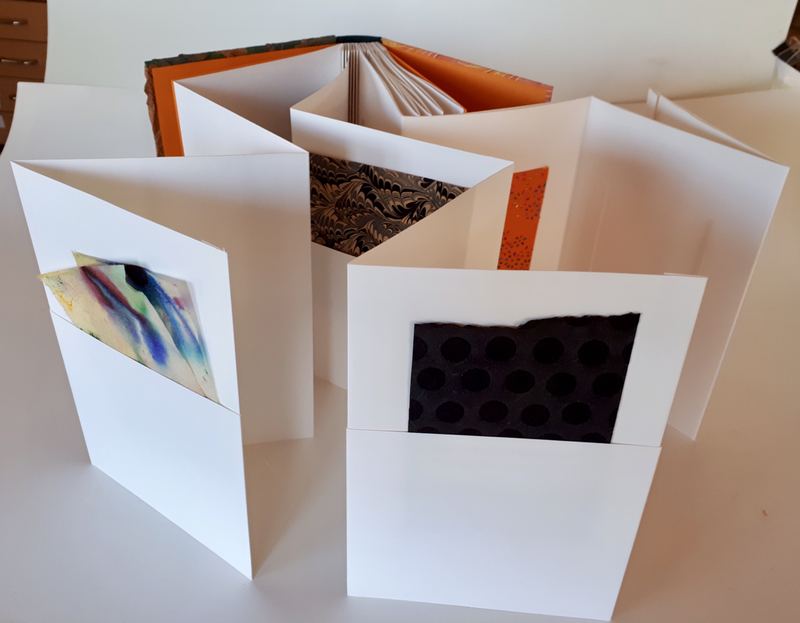 ​Spend time with like-minded people creating a unique book using an unusual book structure - perfect for textile artists and collectors alike! 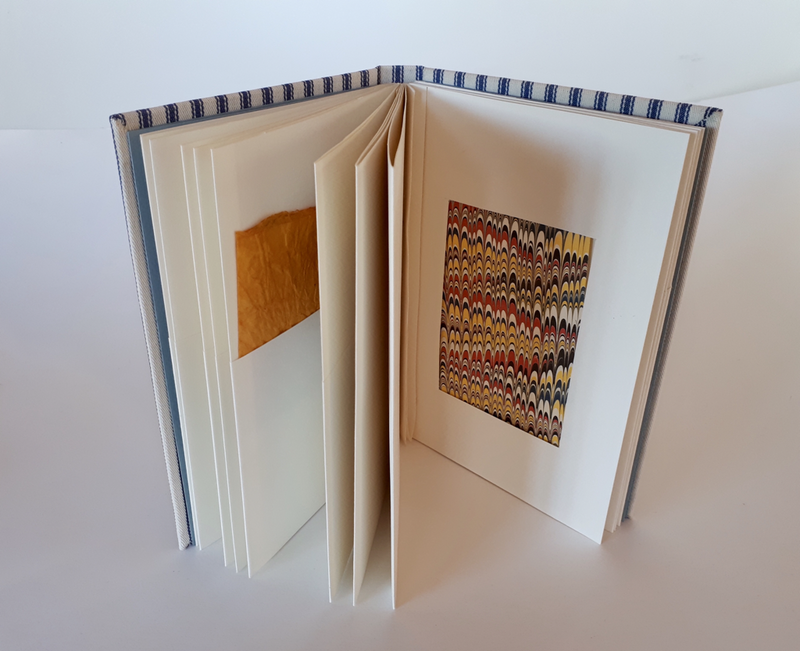 In this workshop with Nesta you’ll spend time investigating a variety of page styles, including one which is made with the pages sewn in and the other so that the pages fold out. It will also be possible to mix and match and you will be able to choose a combination which suits your needs. 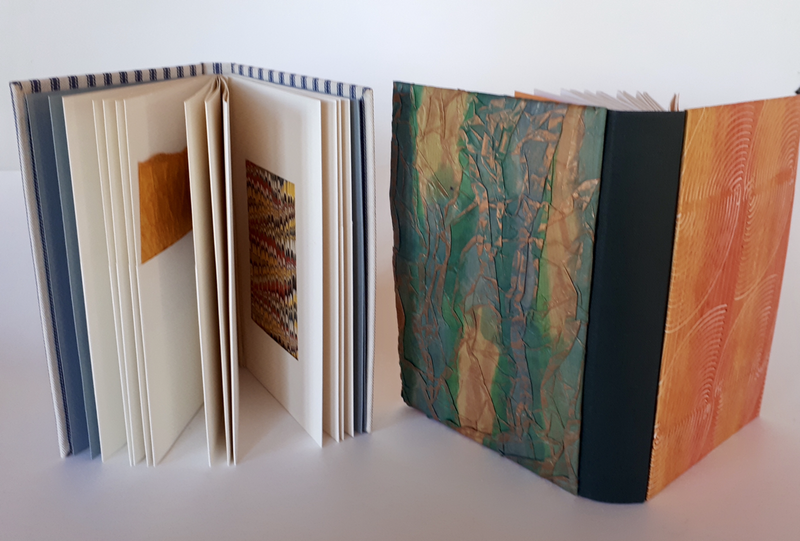 Once you've created all your chosen pages you will start making the front and back cover boards. 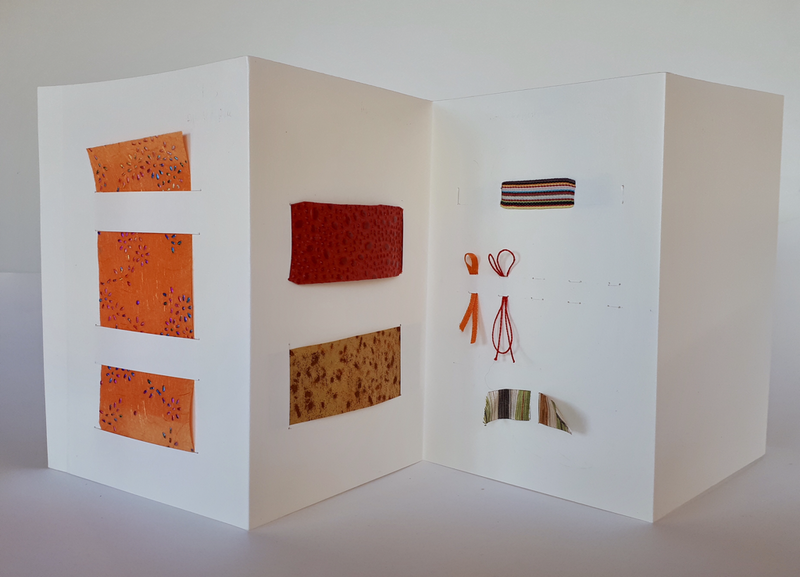 There will be a choice of two styles and, with Nesta's guidance you will learn how to use cloth, paper or textile pieces as covering material. 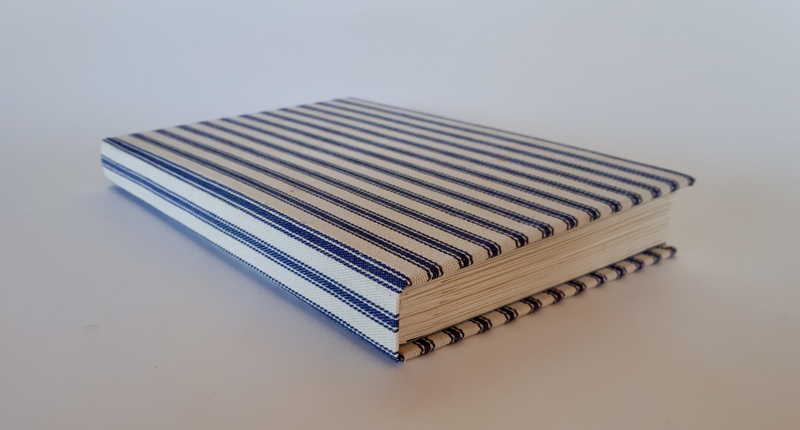 The cover can either be formed with one piece of cloth/paper or in a 'disappearing spine' style, where the boards are covered separately. 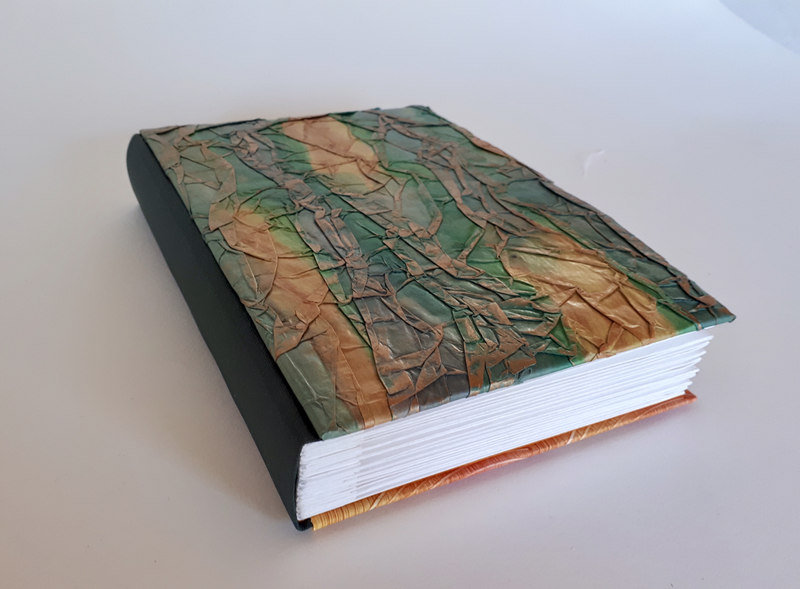 On the first day you will also have the opportunity to make some paste papers to use as book coverings; be warned, this could become addictive! 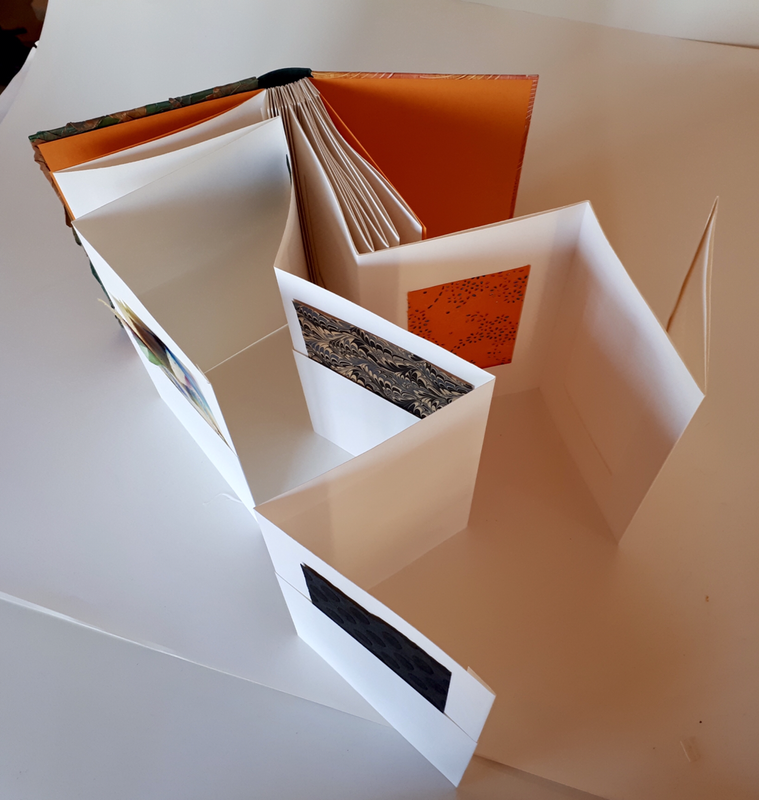 This workshop is ideal for anyone who is used to measuring and cutting accurately and would suit beginners or those with some experience of bookbinding/ other paper crafts. This workshop is now full, please contact Hazel if you would like to go on the waiting list. You can see more of Nesta's (and her students') lovely work here.